How about a 10 minute card?!? 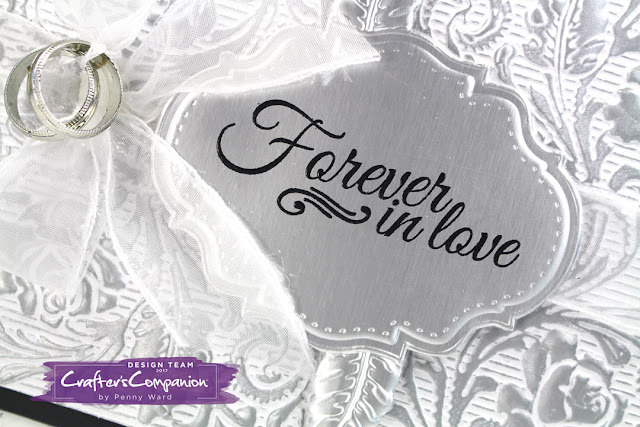 Using Crafter's Companion cardstocks and a bit of Gilding Wax, makes it so easy. Trim White cardstock 4 x 5.25 inches, emboss with 3D English Rose folder, then start adding Silver Gilding Wax until you are happy with the look. 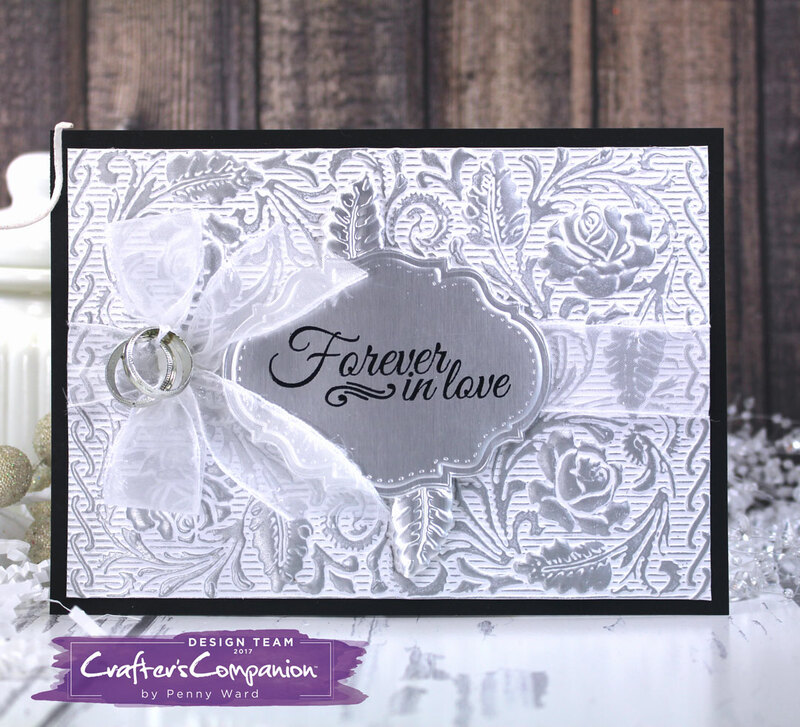 Wrap this panel with sheer white ribbon and adhere to a Black card base. Emboss the same 3D folder using Silver Matte Luxury cardstock and trim the center section out as shown. 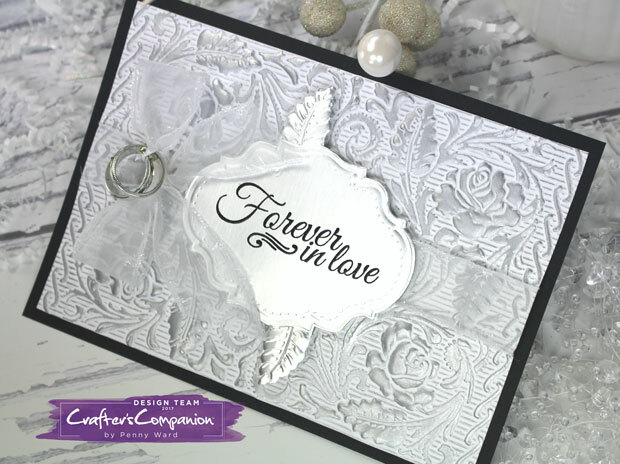 Use a Foil transfer for the sentiment and adhere to card front with foam adhesive. Add a bow and some faux wedding rings for added interest.